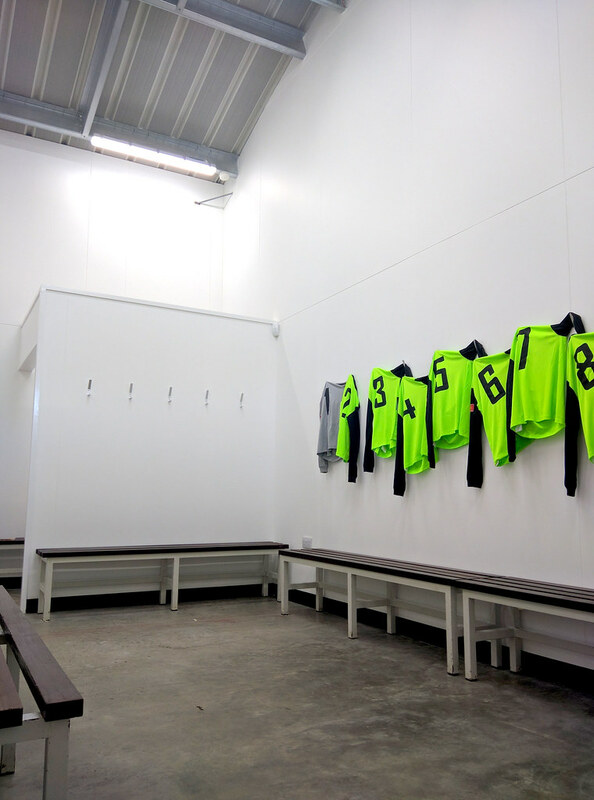 Directline Structures successfully re-designed the building, achieved planning permission and retained the Football Foundation funding. 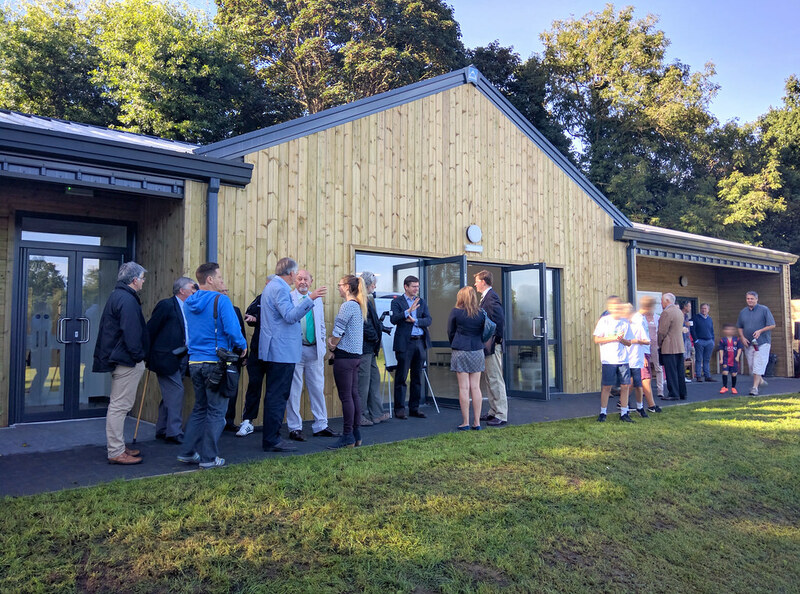 The building was opened in September 2016. 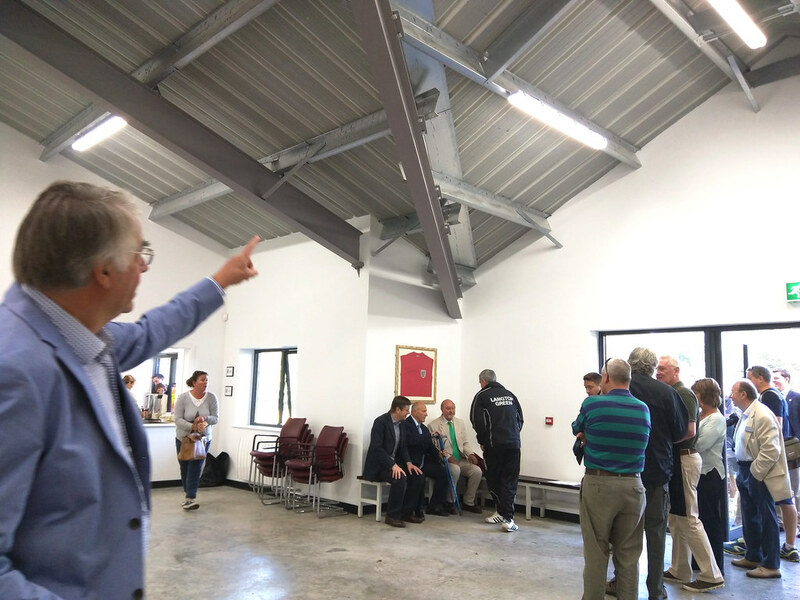 The LGCSA now have a state of the art pavilion with a very generous function area which can be used by all parts of the community. 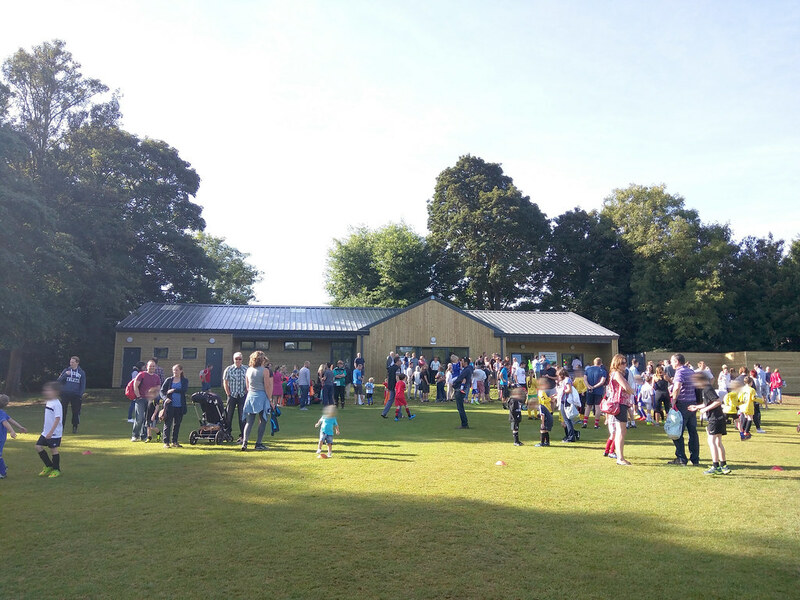 The pavilion was designed primarily with the hugely popular Langton Green Football Club in mind – there is an external window for serving food underneath a sheltered canopy. 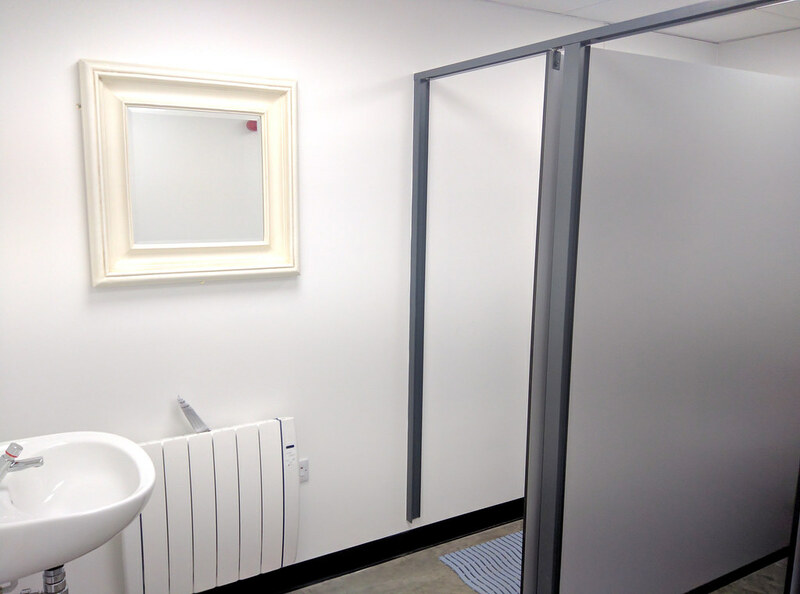 There are external toilets and the whole building has a tough and durable floor finish that can withstand football boots. 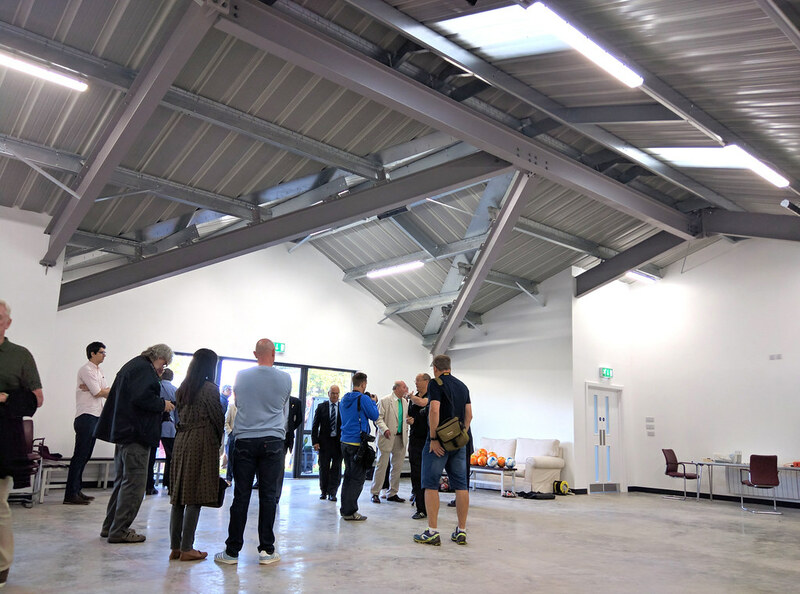 The large doors into the function room can be opened up on match days so that parents and players can flow in and out of the building easily. 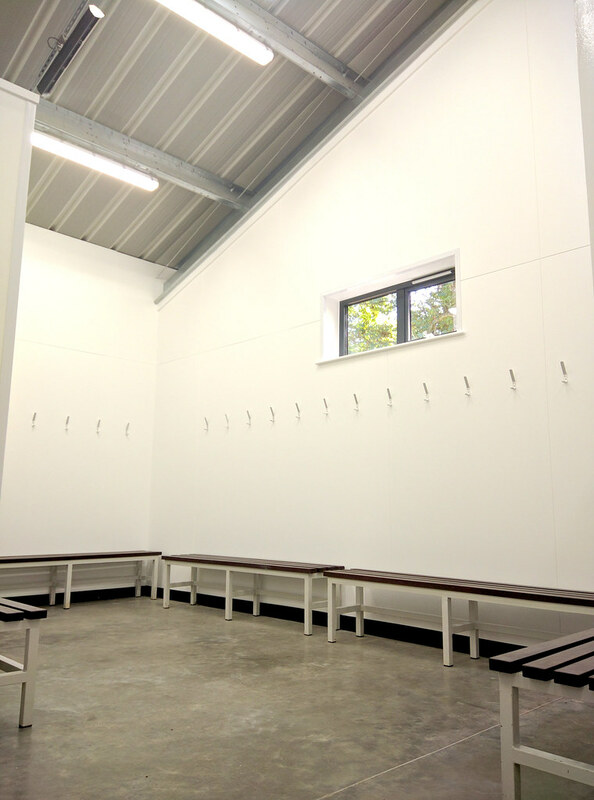 The two full sized changing rooms, with showers and toilets, are complemented by bag store rooms and two officials’ changing rooms with shower and toilet. 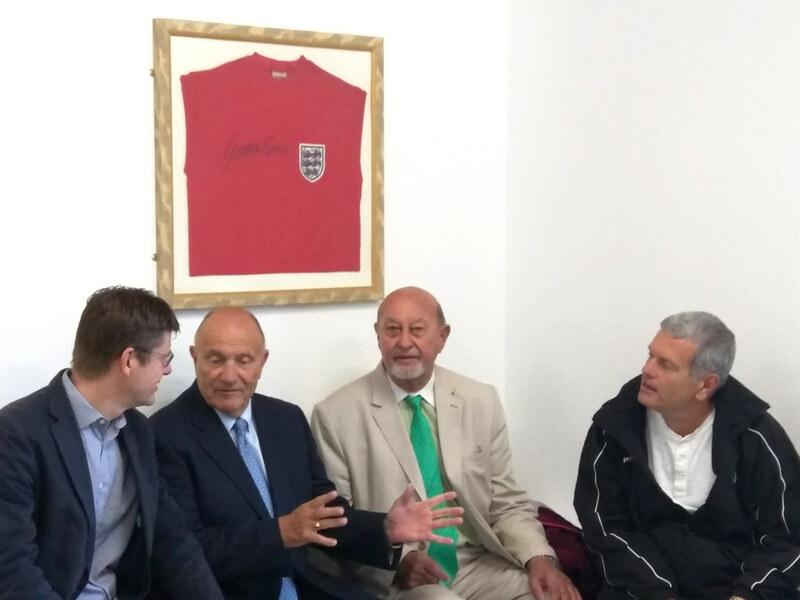 At the opening of the pavilion, Lord Pendry, Chairman of the Football Foundation, commented that it was architecturally one of the best pavilions he had opened. 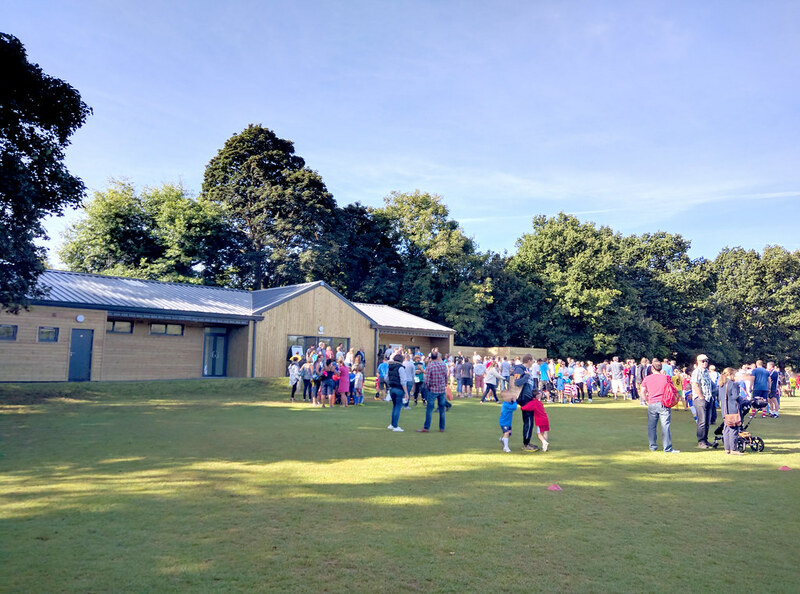 The feature gable, attention to detail in the timber cladding and glazing give the building a high quality finish that makes it head and shoulders above other pavilions, all at an affordable budget.